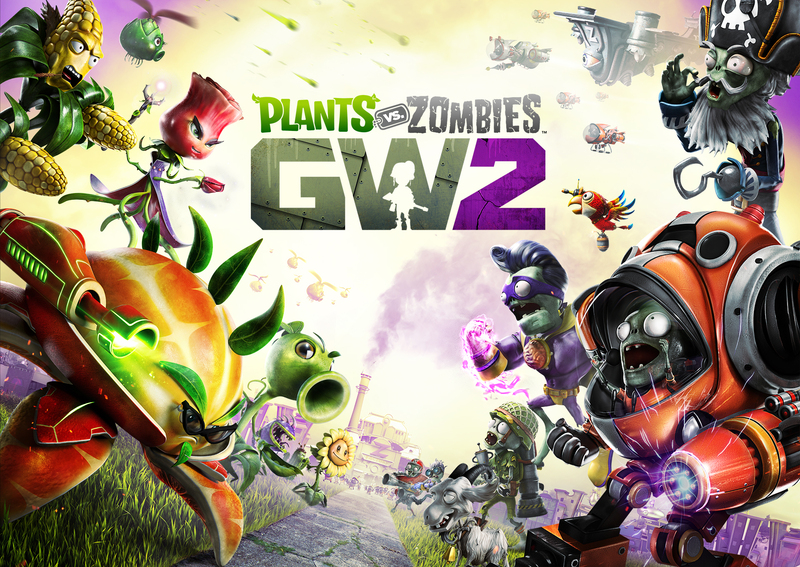 I have always thought Plants vs. Zombies: Garden Warfare was the best online competitive third-person shooter. I felt it was perfectly balanced, there were tons of different characters and their respective abilities to choose from, and it had an extremely unique theme that basically everyone loved. Well, after I spent some time with the beta for the sequel, I can now say Garden Warfare 2 is even better, with all those same qualities kicked up a notch. New and Improved Crew! Plus The Old Favorites! The plants and zombies have three new characters each, and all the old characters have a bunch of new variants. This is important, because if you loved the previous game as much as I did (I played the game so much I got the platinum without even realizing it and have continued to play it since then), you will feel right at home when jumping into the new one. All your favorite characters are there, with all their variants, plus some new ones to have fun with. The new characters fit right in with the old, and have as much variety as the old four of each team. For example, the old game balanced the more powerful zombie healer with the limitations of stationary “healing stations,” as opposed to the weaker plant healer, who could attach onto moving teammates with their healing beam. Now, there’s a powerful Imp zombie with the lowest health of any character in the game, but he’s so small and fast he can zip right past you. The very powerful Super Brainz zombie is a short range character, with most of his attacks only effective in close quarters, like punching plants with his huge zombie muscles. Vampire Flower is a great example of the masterful balance of the game, too. She can gain health by injuring enemies, but has a lower health than a regular Sunflower. Her attack is also a little more powerful than her sisters’. Citron, the new crab-like fruit from the future, is slow, but not when he rolls into a fast, yet weaponless, ball. Rose, the teleporter-building character, is focused on crippling her enemy and infiltrating their lines more than damaging them. 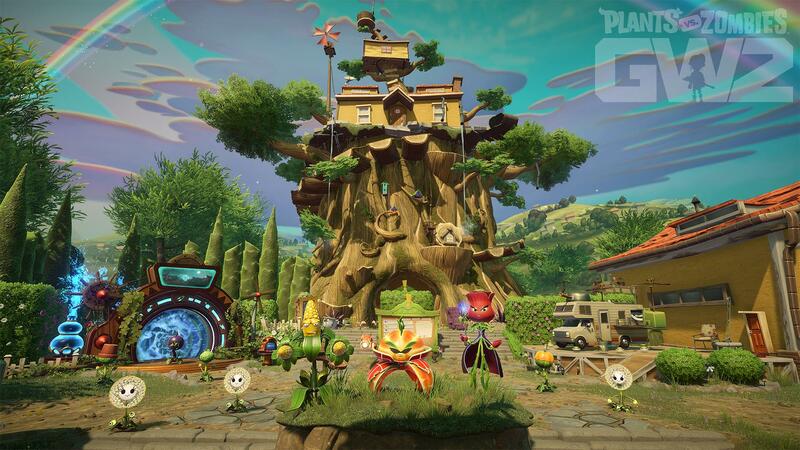 The coolest part of the game as compared to the old one is the new hub area called Backyard Battleground. It’s like an open battleground for plants and zombies, with each faction’s base on opposing sides. This is cool because all of your matchmaking, character data, stats-checking, and more secrets that have yet to be revealed (what are you hiding in that garage, Dave?) are all done here instead of in slow, clunky menus like the first Garden Warfare. Not only that, but you can easily test out each character — because now there are tons of them — without having to load into a match. Just run right into the heat of battle out the front gates of either base and have at it. Backyard Battleground is fun to explore by itself, and is an especially fun place to do all those dumb things you do when playing online with friends, like trying to jump on each other’s heads, or repeating silly emotes back and forth. The refreshing thing about this game so far, in my opinion, is the fact that both teams can be on offense or defense, instead of zombies always attacking and plants always defending like in the Gardens and Graveyards mode of the previous game. Now, there’s also Herbal Assault. Rose is your teleportation expert, as she can “summon” using her magical rose magic, no engineer’s tools necessary. Plants can now grow weeds, like zombies can summon browncoats, to charge into battle with them. zombies can also build little bots, like plants can plant plant pots. So, zombies zom zombots, and plants plant plants. Get it? Now I’ll just quickly mention what I didn’t like, as I am obviously a huge fan of these games anyway. With this newer, shinier game, comes newer, shinier graphics. They look so good! 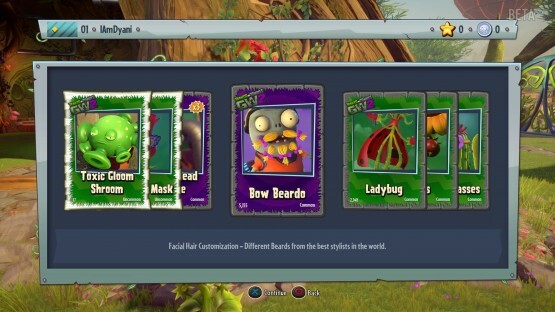 I have always loved the way Popcap creates Plants Vs. Zombies games with lots of colors and tons of personality. No detail is left to random generation, it all has a little thought behind why it is there. So the levels are more detailed, the characters are more detailed, and the effects are more detailed. But, when you put all these things together, you get massive visual confusion on-screen when you’re just trying to have a little fun and kill some zombies (or plants, whatever)! It really does become hard to see what is happening in the middle of a hectic battle (which is…the entire game). I like the upscaling, but it is too much to handle at times. Most effects happen when getting shot, when shooting, being near someone getting shot, being near someone shooting, and when other things happen like explosions. They cover most of the screen in confusing graphical craziness, layered all on top of each other. The only indication that you’re hitting an enemy are the little numbers that pop up their body of how much damage you are doing to them. I guess deciphering all this visual input at mach speed is a talent you need to acquire to be a good, or sane, GW2 player, but I really hope someone on the dev team takes another look at how this could be a problem. I’m not too worried though. I’m sure I will spend hundreds of hours playing and loving Garden Warfare 2 when it releases on February 26, just like I did with its predecessor.